Have a safe and blessed Easter weekend! Who starts a business on April Fool's Day and runs it successfully for 51 years? Carmen Stanton, that's who! 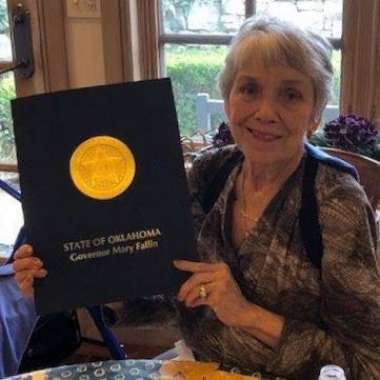 Congratulations to Bartlesville's staffing specialist on the anniversary of Career Employment Service! Will be closed for Christmas on Monday, December 24 and Tuesday, December 25. 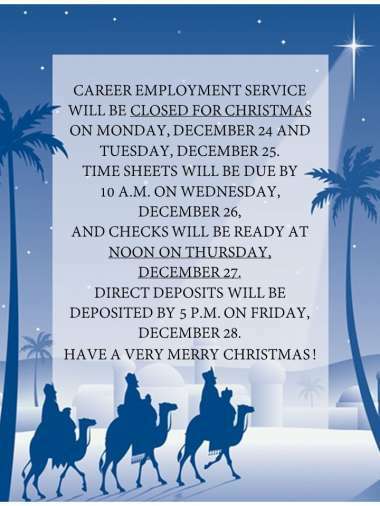 Direct deposits will be deposited By 5 p.m. on Friday, December 28. 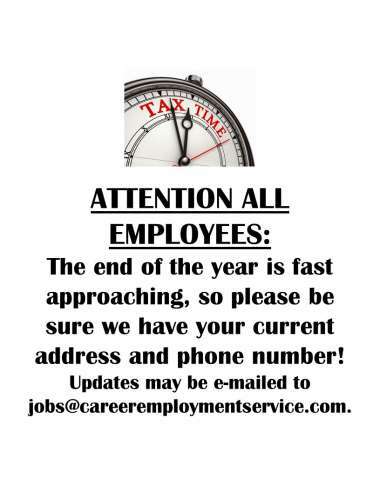 Be Ready for Tax Season! The end of the year is fast approaching, so please be sure we have your current address! Accounting/Finance, Administrative, Business/Management, Creative Design, Customer Service, Engineering, Human Resources, IT, Legal, Logistics, Maintenance, Manufacturing, Marketing, Medical/Health, Sales, Technical/Trades, Transportation, Warehouse, Welders. Career Employment Service, Inc. is a family-owned and operated business with 46 years of experience matching job seekers with employers in the Bartlesville area. We offer a full range of staffing services, including temporary, temp-to-hire, and direct placement. Whether you’re looking for employment, or seeking qualified individuals for your business, we’re here to streamline the search for you—from the first application to the final handshake. What makes Career Employment Service, Inc. different? 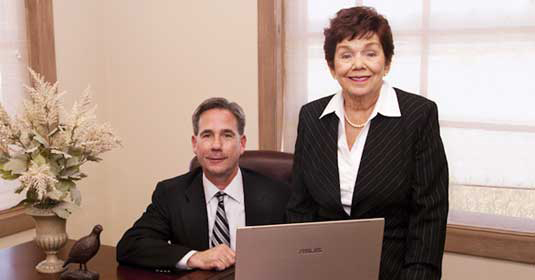 As a family-owned business, we believe that Career Employment is about relationships. That's what we’ve been building in the Bartlesville area since 1968—longstanding relationships with fellow members of our community. Our repeat clients can tell you that at Career Employment, we are committed to giving every applicant who walks through our door our personal, undivided attention. Every time. We invite you to read more about CES here. 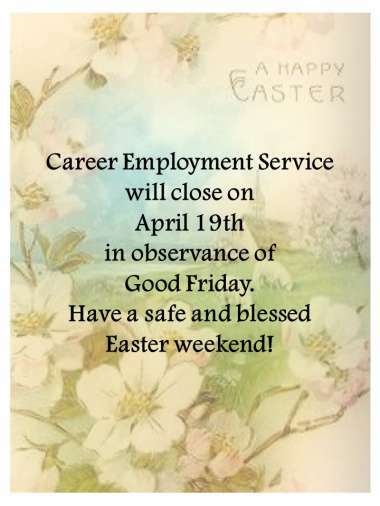 Career Employment Service | 2350 SE Nowata Pl. • Bartlesville, OK | (918) 335-2300 | jobs@careeremploymentservice.com | M - F 8 a.m. - 5 p.m.